From the end of the earth I call to you. Kay Rowling Long of Corpus Christi, Texas passed away on Saturday, March 31st, 2018 at her home. She was born to Katherine Hamilton Collier and Burgess W. Collier on October 7th, 1931 in Fresno, California and was the eldest and only daughter of four children. As a young girl living in California, Kay loved to ride horses on her family's land. Kay adored her father who, when she was 14, was killed in a car accident. She loved and missed him all of her life. Following her father's passing, Kay moved with her family to El Paso, Texas where, in spite of these hardships, she graduated as salutatorian of her high school class. On August 12th, 1948, Kay married Reese McIntosh Rowling in El Paso, Texas, a union that lasted 36 years and produced four beautiful children. In 1959, the family moved to Corpus Christi, Texas where together, Kay and Reese made their faith and the spiritual growth of their children a priority in their home. They set an example for their children of love and respect for others. Even when their union ended, they remained dear friends until Reese passed away in 2001. She was a dedicated servant of the Lord who placed the needs of others before her own. Kay dedicated her life to Christian service and nurturing her family. She enjoyed a lifelong love of music and was an active participant in the Grace Presbyterian Church choir for decades, and served as both deacon and elder of her church. For forty years, she was also a member of a bridge club with a special group of women who became her lifelong friends. In the community, Kay was known for her family devotion and thoughtfulness toward others. She was a model of grace, benevolence, humility, and poise. Kay loved her Lord and her family with all of her beautiful soul. She showered her children, grandchildren, great-grandchildren, friends, and extended family with warmth, kindness, loyalty, and love. In 1988, she married Joe Long, with whom she shared a love of music and their church until his passing on November 29th, 2010. Kay will be dearly missed by Joe's daughters, Sallie Northen and Ivey Pockrus. Kay is preceded in death by her parents, Burgess and Katherine Collier and her brothers, Bud Collier and Mike Collier. 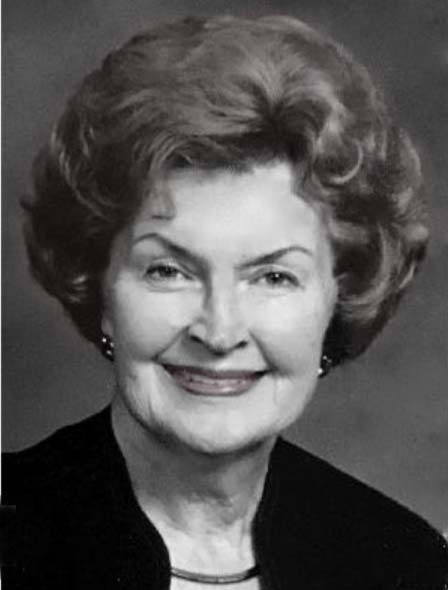 She is survived by a large family who loved her dearly, including son, David Rowling; son, Robert Rowling and wife, Terry; daughter, Carol Grassel and husband, David; daughter, Katherine Sugarek and husband, Joe; and nine grandchildren: Nikki Castle and husband, Chris; Robert Rowling, II and wife, Melissa; Blake Rowling and wife, Carrie; Brittany Kay Lisotta and husband, Chase; Reese Grassel and Ty Grassel; Courtney Klingaman, Kendall Klingaman, and Bryn Klingaman; and three great-grandchildren: Caroline Rowling, Robert Rowling, III (Tres), and Reese Rowling. She is also survived by her brother, Brian H. Collier of El Paso; sisters-in-law, Jane Collier of Galveston, and Joyce Collier of Missouri City; and Esther Benitez-Santiago, her treasured friend of 35 years whom Kay called her 'gift from God'. We adore her and will love and miss her always. A Funeral Service will be held at 2:00 p.m., Thursday, April 5, 2018 at First Baptist Church, 3115 Ocean Dr. Corpus Christi, TX 78404. Burial Services will be private.